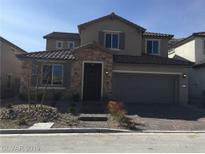 Find Southern Highlands, NV New Homes for sale. View Photos, Maps and MLS Data Now! Southern Highlands - Ready in a Late Summer time-frame! 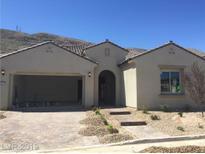 MLS#2090302. Wardley Real Estate. Enclave At Southern Highlands - Soaring ceilings, open floor plan, indoor/outdoor space with pocket doors, Crestron, home theatre and incredible golf course views are just some of the amazing features to enjoy. Completion late 2019. MLS#2077534. BHHS Nevada Properties. Jr. suite downstairs. Community Pool & Park. MLS#2085953. New Home Resource. Master has a Freestanding soaking tub & large shower. A must See! MLS#2085649. Wardley Real Estate. Southern Highlands - 4' extension on garage for extra storage. Community pool and park! MLS#2084090. New Home Resource. 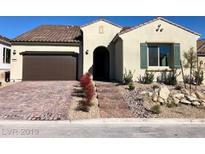 Southern Highlands - This home is move in ready and a must see! ! MLS#2084145. New Home Resource. Oversized garage with 4' extension. Close to community pool & park MLS#2084122. New Home Resource. The Gelato comes with Lennar’s Everything’s Included package that includes many upgrades like granite countertops, GE® kitchen appliances, raised-panel cabinetry, home automation and much more! MLS#2083519. 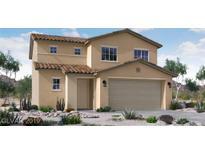 Lennar Sales Corp.
Southern Highlands - No Build Times, This One Is Ready!! ! 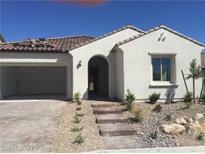 MLS#2080460. Simply Vegas. 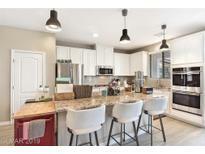 This home is move-in ready and will not last! ! MLS#2077407. New Home Resource. The Cinzano comes with Lennar’s Everything’s Included package that includes many upgrades like granite countertops, GE® kitchen appliances, raised-panel cabinetry, home automation and much more! MLS#2077494. Lennar Sales Corp. Spacious loft upstairs, plenty of space to enjoy! A Must See! MLS#2072003. Wardley Real Estate. Southern Highlands - Great covered patio to enjoy! A must See! Move-in Ready! ! MLS#2071971. Wardley Real Estate. Tuscan Cliffs At Southern Highlands - Large great room w/ wet bar, multi-slide glass door that open to the covered loggia for indoor/outdoor entertainment, gourmet kitchen w/ an island & breakfast bar, quartz countertops, custom cabinetry & GE Profile SS appl, spacious master suite w/ retreat & bath. MLS#2064227. Southern Highlands Realty Corp.
Tuscan Cliffs At Southern Highlands - Elegant living room, multi-slide doors that opens to the bkyd covered patio & interior courtyard. MLS#2036484. 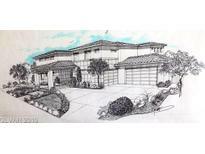 Southern Highlands Realty Corp.
Southern Highlands - Construction hasn't started, there's still time customize the home. MLS#1943198. Christopher Homes Realty.